The modular structure of the Kubota SH1150 ensures even weight distribution across the machine arrangement, giving the tractor maximum balance. This improves both safety and maneuverability, whilst at the same time giving the driver an unrestricted view over the entire machine set-up. 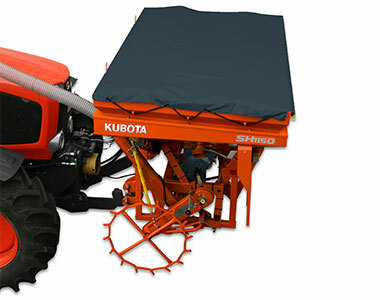 The Kubota SH Series is more flexible than conventional seed drills. 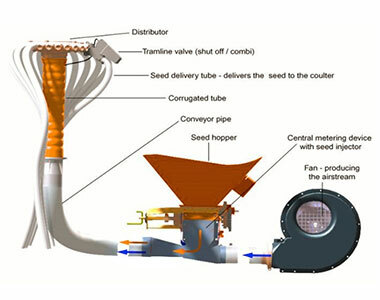 It can be used for both conventional and precision seeding. The SH1150 hopper capacity is 1150 litres. This can be increased to 1700 litres by an optional hopper extension. The SH1650 hopper capacity is 1650 litres. This can be increased to 2200 litres by an optional hopper extension. The Kubota SH1650 has front twin hoppers feeding two metering devices. These are driven via the spiked landwheel, which runs on the right side of the machine. Hydraulic fan drives and landwheel lifting are available as options. The handy positioning of all valves and electrics is clear and convenient, facilitating easy adjustment and maintenance. To be used for row fertilizing in combination with a precision seed drill. 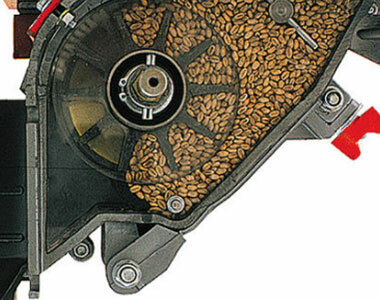 The central metering device accurately metres any desired volume of seed from 2kg per hectare to 380kg per hectare. 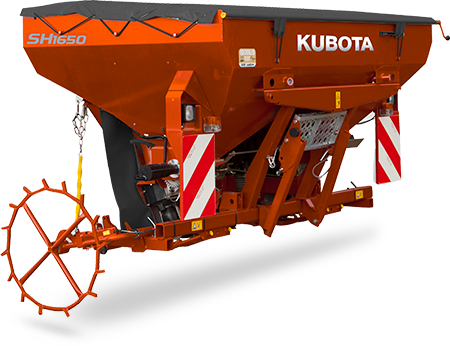 Apart from the well-known tramline control FGS and the Signus, the pneumatic seed drills can be equipped with the Tellus GO and the IsoMatch Tellus. IsoMatch Tellus – the next generation universal ISOBUS Terminal. The IsoMatch Tellus is the first ISOBUS terminal in the world with the capability to operate two different (machine) screens through one terminal, without the need to constantly toggle between screens. 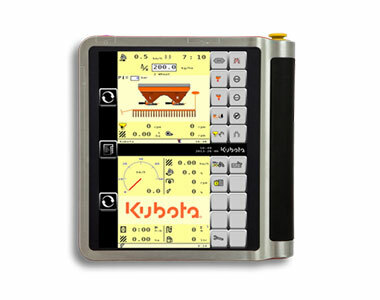 Via the ISOBUS connection, IsoMatch Tellus automatically identifies the job control unit, which is located on the machine.